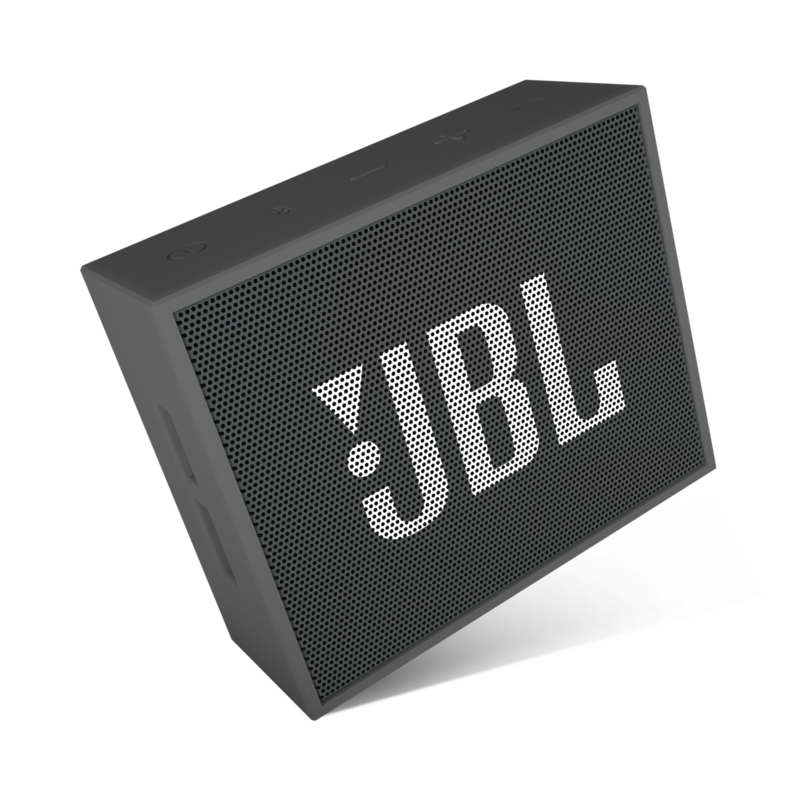 JBL Go is rated 4.6 out of 5 by 1212. Rated 5 out of 5 by ArihAsus from Absolutly awesome! I bought this speaker about 8 mouths ago, and I still get impressed when i use it. It's just incredible the sound quality and power built in to that small thing, and for the price it costs. In fact, the batery life is not the biggest one, but never found that a problem. The only down side I see is the bluetooth connection, cause it sometimes fails, but i think you can't ask much more with the price that it costs. In a relation price-quality, i would say it is fantastic, so if anyone reading this is considering buying this speaker, I totaly recommend it, for in-door use. 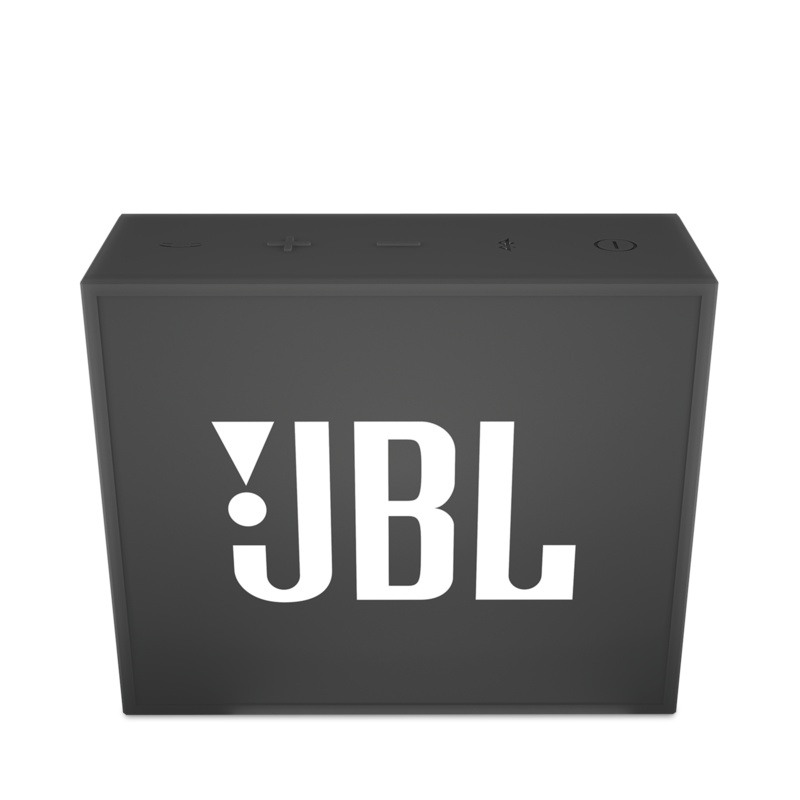 Congratulations to JBL to make such a thing! PS: I bought this speaker with my own money, so this is my true opinion. Rated 5 out of 5 by Tanman84 from Happily Surprising, JBL Gooooo :) Bought for work actually. Needed a speaker small enough to carry along and with sound powerful enough to conduct a presentation for an audience in a small room, 15-20 people or so. This small yet powerful speaker has so far been nothing short of brilliant. The added plus of a mic made it especially handy when I had a conf call with several people. On a personal note, the sound quality for my music is just perfect. I fiddle around with the equalizer on my phone or laptop and the sound is just superb. Only thing I'd recommend to improve, is with packaging. It would be a nice touch if you threw in a small bag for it, especially since the speaker is very rectangular and tends to be irritating in my bag. Rated 5 out of 5 by BBM or B from A convenient little audio enhancement tool I am so busy, taking care of home, working as full time TV studio manager and running my own personal product brokerage company, I am always needing to take advantage of the little time available. My son suggested that I use my bathroom/shower time to listen to my corporate audio clips. At first I thought that would not work. “I could not Hear”! 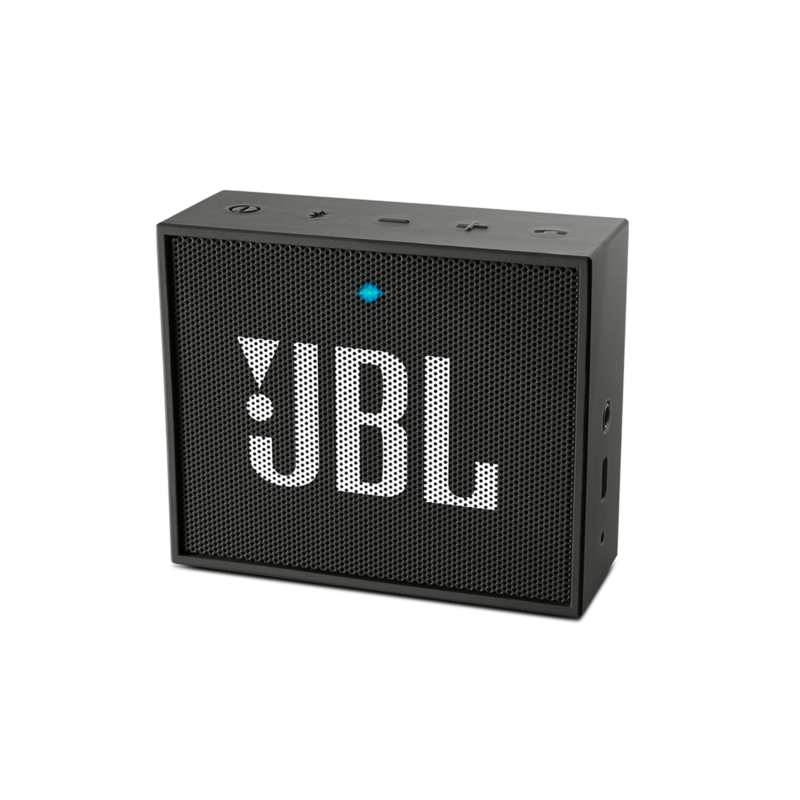 But, as he suggested, I purchased the JBL wireless blue tooth speaker and found that it was the perfect time saver. I added a half hour to my work time. Great! 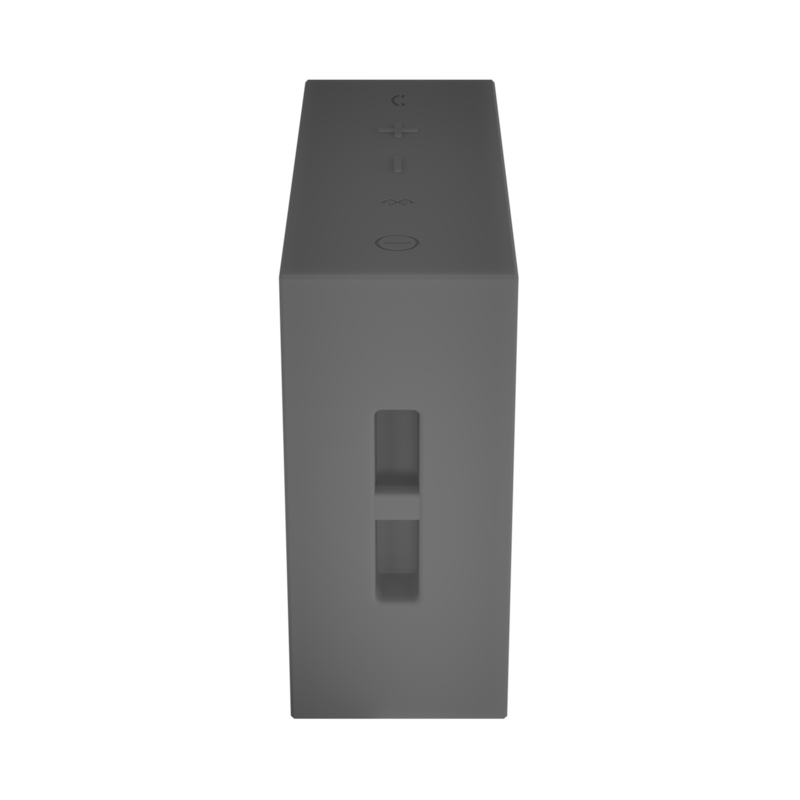 Rated 5 out of 5 by Adrien93 from Super pratique Cette enceinte est le parfait mélange entre la praticité et la qualité. Je l'ai acheté pour un ami pour son anniversaire car je m'en était déjà procuré une. Elle est transportable partout et très robuste cela fait maintenant 3 ans que j'en ai une, elle est tombée un nombre incalculable de fois mais marche toujours aussi bien (seule la batterie commence à être moins efficace mais ça reste raisonnable) . Elle joue parfaitement son rôle d'enceinte pour les soirées en petit comité ou lorsque vous êtes dans une petite pièce. Ne vous attendez pas non plus à de la grande qualité audio. Mais pour sa taille elle est surprenante. Rated 5 out of 5 by Cepri from Patate Je l'ai reçue rapidement,j'ai très vite compris son fonctionnement, elle est noire mat,elle est jolie..Concernant sa capacité à vous étonner?13 étoiles! En écoutant Kool keith ou france culture je suis toujours aussi satisfaite et ravie après une dizaine de jours,elle se met partout elle est petite et mignonne et elle envoie bass et aigus comme il faut!hallucinant vu sa taille! (ah oui!vous pouvez recevoir des appels et parler dans le salon en laissant votre téléphone dans la cuisine) l'autonomie,la connexion bluetooth en 2 sec..bref je reviendrai chez JBL avec plaisir et les yeux fermés.Merci! Bonjour Votre demande n&eacute;cessitant une intervention de nos sp&eacute;cialistes produits, nous vous invitons &agrave; contacter le Service Client&egrave;le Harman par t&eacute;l&eacute;phone, par mail ou par chat afin de recevoir une assistance personnalis&eacute;e. Vous trouverez toutes les informations de contact sur https://www.harmanaudio.fr/support-contact.html#ns. Wie kann ich 2 gleiche JBL go Lautsprecher &uuml;ber Bluetooth zur gleichen Zeit nutzen? Wie wird das &uuml;ber Handy eingestellt? Danke f&uuml;r Ihre Anfrage. 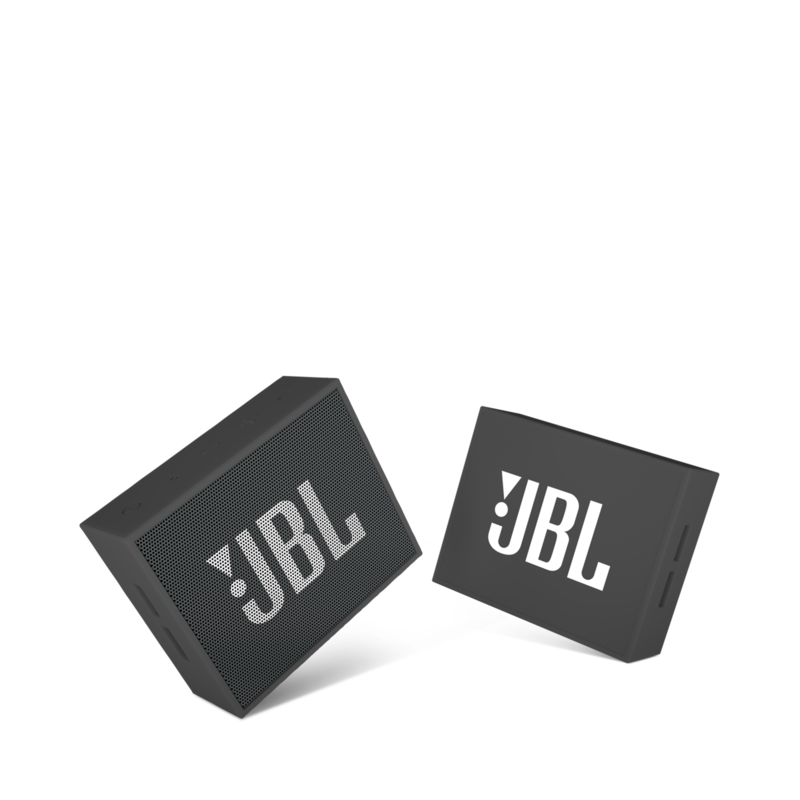 Da die JBL GO -Serie nicht mit Connect, oder Connect Plus - Technologie ausgestattet ist, ist dies leider nicht &uuml;ber Bluetooth m&ouml;glich. Sie k&ouml;nnten ein Splitter-Kabel kaufen und beide Ger&auml;te &uuml;ber AUX mit dem Handy verbinden, wenn Sie nicht darauf angewiesen sind das Handy bei sich zu haben. Sollten Sie weitere Fragen haben, z&ouml;gern Sie nicht uns per Telefon, Email oder Chat zu kontaktieren um individuelle Hilfestellung zu erhalten. Bitte finden Sie weitere Informationen dazu unter https://de.harmanaudio.com/support-contact.html#ns. Vielen Dank.